Today’s chart reveals the second wave of Buffleheads returning from the interior of BC in the wake of a trough, as an Aleutian Eye takes shape, right at the very tip of the chain. 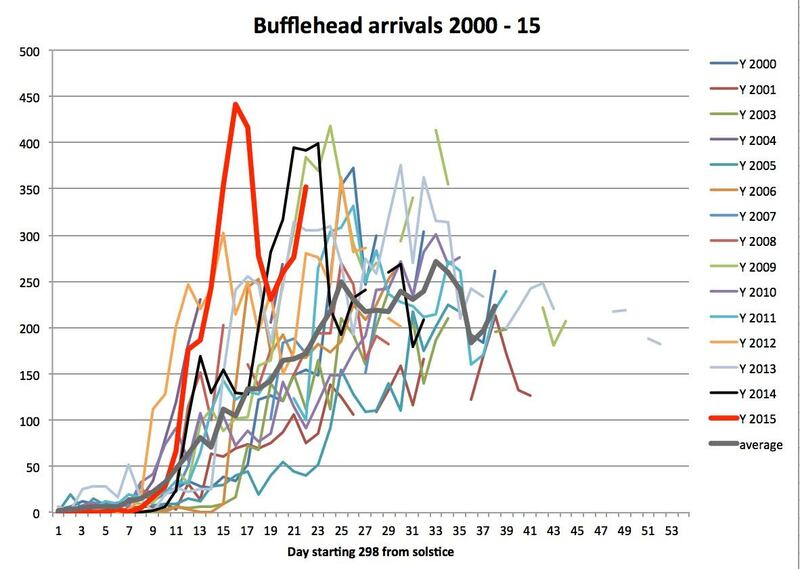 This influx almost coincides with the Great Bufflehead Crash but in fact that remarkable event took place in a Leap Year AND that event took place on the evening of November 4th. In real (sidereal) time, the present influx precedes the chain of weather calamities that unfolded beginning with the Great Bufflehead Crash along the Yellowhead corridor in eastern Saskatchewan. This influx is also at the forefront of the second wave in general, and so far, its amplitude is considerable. Unlike the situation in 1940, when the weather office in Chicago was closed for the “holiday” weekend, the world is closely observing itself with a multitude of remarkable weather sites and satellite imagery, unimagined not long ago. It seems that the Buffleheads have responded to some strong external signal associated with the passage of the Rossby waves. And once again, its flooding time in Texas, in an El Nino season.